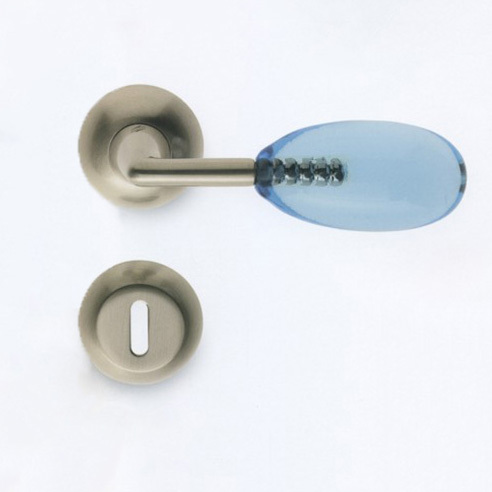 Door-handle, window-pull and coat hanger series in brass and Murano glass. Handle finish: 24crt gold plated, mat nikel, mercury grey; Murano glass in 5 different colors: green, pink, acquamarine, fumè, amber. Coat hanger finish: 24crt gold plated, mercury grey, chrome, mat nikel; Murano glass in 4 different colors: green, pink, acquamarine, fumè. 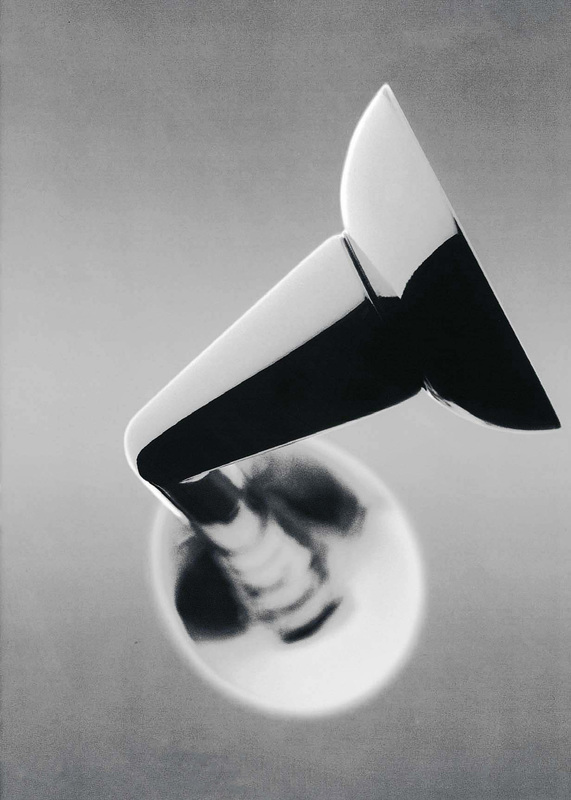 This handle means to read in a contemporary way a traditional italian material, the Murano glass with its century – old tecnique. The glass part has been neatly jointed to the metal frame, leaving the join all bare and visible, thus conferring its contemporary look.